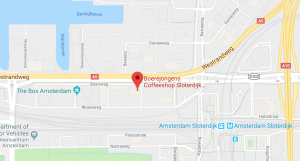 At walking distance from Amsterdam Sloterdijk train station you will find our brand new Flagship Store by Boerejongens Coffeeshop, latest in a series of exceptional quality coffeeshops! You’ll find this brand new Boerejongens coffeeshop on Humberweg 2, which runs parallel to the well-known Basisweg main road. This unique coffeeshop is our most luxurious location to date, standing out even among its high-class Boerejongens peers. Furnished in gleaming marble, polished wood, and stylish brass, its interior decoration matches that of every Boerejongens establishment. Here, however, a full marble floor and a ceiling clad in sheets of brass etched with our Amsterdam Genetics logo clearly set the venue apart as our Flagship location. The Coffeeshop comes with an enclosed parking lot, with a barrier that opens automatically for our guests. On your arrival, our hallmark bowler hat-wearing host awaits you with the tell-tale warm welcome, promoting the good atmosphere and social responsibility typical of all members of the Boerejongens Family. As you have come to expect from all Boerejongens Coffeeshops, you will find the shelves of our Flagship Store filled with only the finest quality strains of weed and hash available in the country, at the fairest prices you’ll find in Amsterdam. The one thing that could possibly top our glistening buds and famous hash blocks is our collection of cannabis-infused edibles (spacecake). Come and sink your teeth into the top of the Amsterdam food chain: our gourmet Spacetry cakes are an experience that no cannabis connoisseur is likely to forget. Right next door from our new Boerejongens Flagship Store, we are planning construction of our all new ‘Amsterdam Genetics Headquarters’ and SupMedi CBD Supplements HQ. 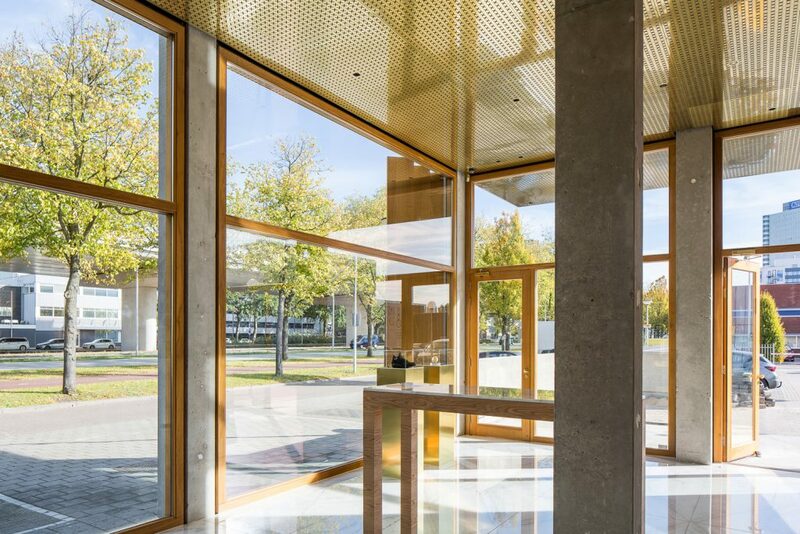 Our Sloterdijk Flagship Store is already open to serve our clientele, even though we still have some final details to finish. Stay tuned for our announcement of the official grand opening of this amazing new venue, and in the meantime, come check out our progress as we complete the next level in top notch Amsterdam cannabis culture! You know where to go for the best weed, best hash and most tasty spacecakes in Amsterdam!